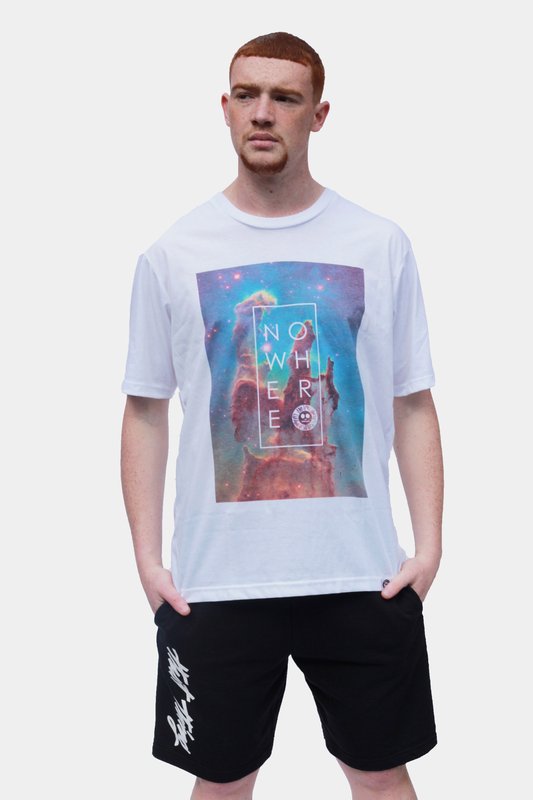 Nowhere tee by Brighton based skate wear design company ‘CONCH’. 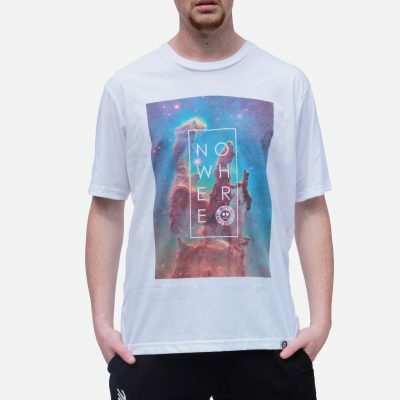 This white t-shirt features a digital print in blue, purple, brown hues with the juxtaposed wording ‘NOWHERE’ and the logo in white. Also it has the label of the brand at the bottom hem. 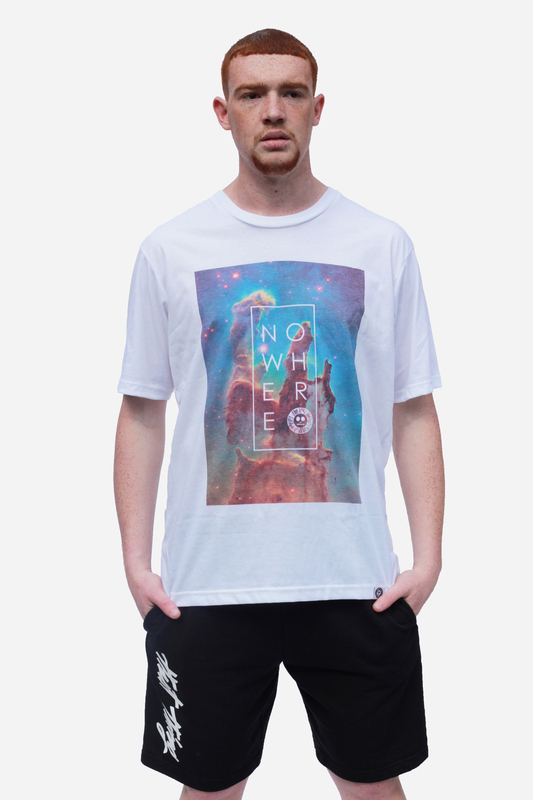 This t-shirt super soft and light weight perfect for summer! ‘CONCH’ is a fresh new Skateboarding clothing brand out of Brighton. Their main focus is on high quality all-over digital print, made for cut and sew, so the seams stay intact and there are no breaks in their patterns. These guys are at the forefront of a strong new trend in the skateboarding industry and we’re hyped to stock them! SKU: N/A. Categories: Clothing, Mens, T-shirts. Tags: blue, BRIGHTON, bristol, brown, conch, galaxy, menswear, nowhere, print, print tee, print tshirt, purple, skatewear, space, sportwear, streetwear, tee, thatthing, tshirt, White.